Our journey through life can be challenging and daunting at times. Our culture values reaching for the stars and making something “big” out of our life. We often strive to find worth in pursuing something extraordinary. But, what if God calls us to live extraordinary in the ordinary? How do we keep in step with His Spirit so that we are enabled to find contentment in the ordinary? 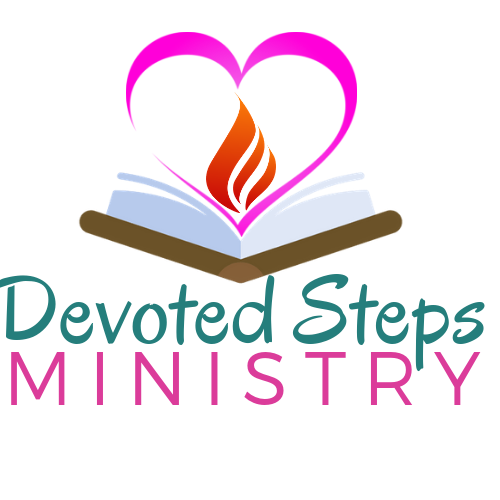 Devoted Steps Ministry exists to equip women to enhance their relationship with Jesus through the daily disciplines of prayer, meditation and devotion. Utilizing the written word through prayer journeys in specific books of the bible, prayer challenges and devotionals, it is our hope that women can slow down in the midst of a hectic life in order to be intentional in developing a closer relationship with their Savior. It is our belief that an intimate relationship with Jesus Christ enables every person to live extraordinary in the ordinary. I was blessed to serve God in women’s ministry for five years as a bible study leader. One of my favorite ways to spend time with God is to write about things He has shown me. During that time He allowed me to learn and grow through writing weekly devotionals. I developed this site so that I could continue to share the insights God gives me as I walk with Him in new and exciting ways. My prayer is that you will find encouragement and a deep love for Jesus as you walk with Him too! He is the good shepherd and will continue to guide us along the path of life.